Super Bowl at Striders - San Diego Dining Dish! It's been all about the Mardi Gras celebration here, but the following day is Super Bowl Sunday! 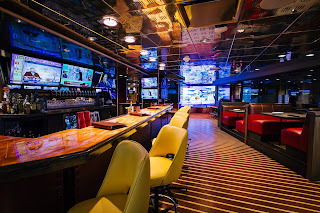 For the best seat in town, check out new luxury sports bar, Striders! 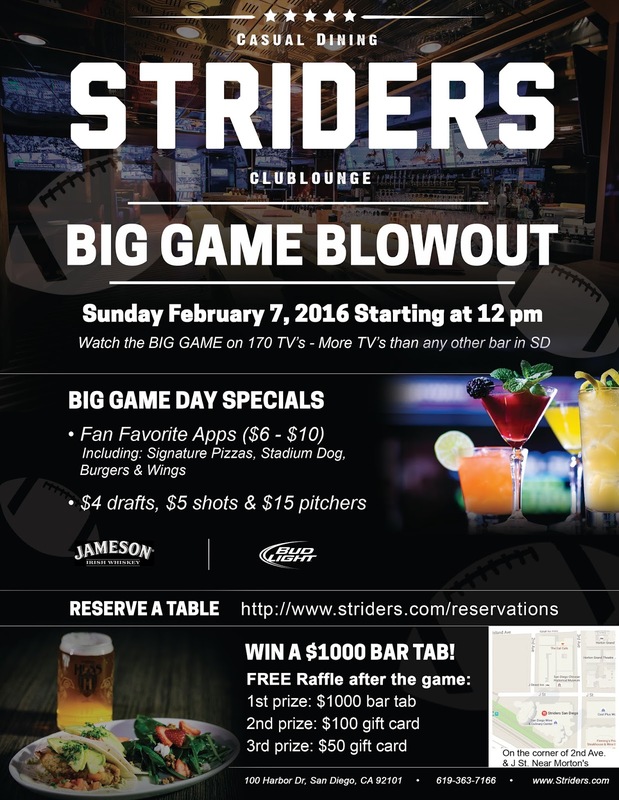 Kicking off on February 7 at 12 p.m. Strider’s is a powerhouse of entertainment with 170 TV’s – more than any other bar in San Diego – giving every guest a MVP seat for the most widely watched sporting event of the year. Enjoy game day specials including signature pizzas, stadium dogs, burgers and wings for only $6 - $10, and quench your thirst with $4 drafts, $5 shots, and $15 pitchers.